We recommend the visitors to the Cinque Terre to buy a Cinque Terre Card including several services such as shuttle buses and usage of the trekking trails. 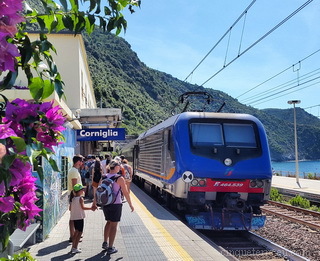 At every Cinque Terre train station you can buy the Cinque Terre Card Trekking or Cinque Terre Card Train, get maps and all other information needed (Tourist information points). From now on you can buy the Cinque Terre Card online too. Low season: from 4 November to 15 March. High season: from 16 March to 3 November.